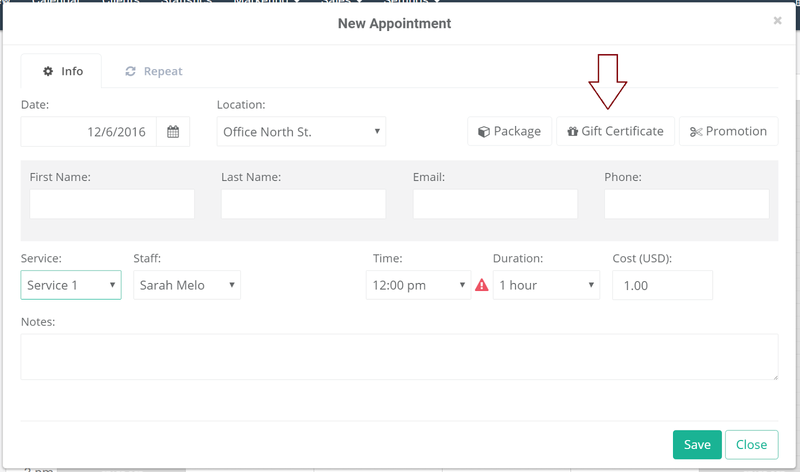 Today, we're excited to announce the release of our latest feature: Gift Certificates. Gift certificates provide a new way to increase sales, attract new customers, and grow your business, especially during the holiday season. Your customers can gift services (and/or classes) to their family and friends via your online store. a) Dollar amount type gift certificates are just like virtual cash. They can be sold as an amount, for example, $30 or $120. b) Service type gift certificates can be sold as a specific service(s) and/or class(es), for example, a Relaxation Massage, or a combination, a Hot Stone Massage and a Bikini Wax. We now offer three ways in which you can sell your gift certificates. 1. You can sell them via your online store. 2. Sell directly from your BookSteam account (in the Sales > Gift Certificates tab). 3. 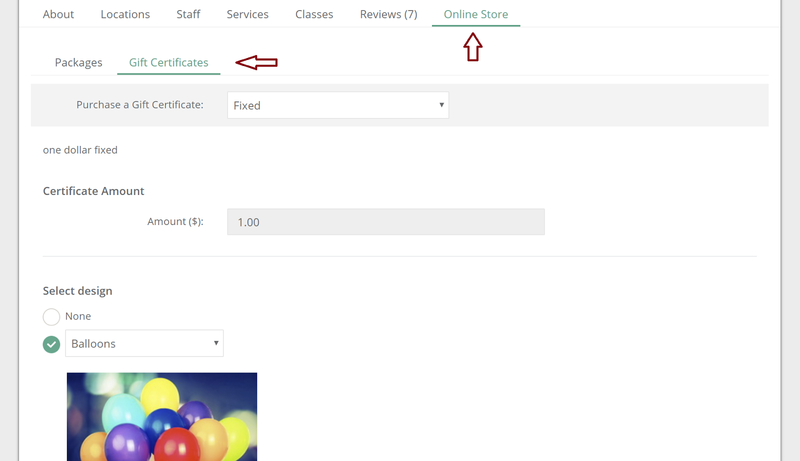 Customers can purchase gift certificates from their account, in the management panel under the Gift Certificates tab. We make it easy for you, keep track of all your gift transactions in BookSteam. To view your gift certificates activity, go to Sales > Gift Certificates and select Manage/Search tab. BookSteam automatically tracks all purchase and redemption activity. Customers are able to redeem their certificate code online, at the time of their booking. Business owners can redeem the code manually, directly from the BookSteam calendar, in the appointment/class window. 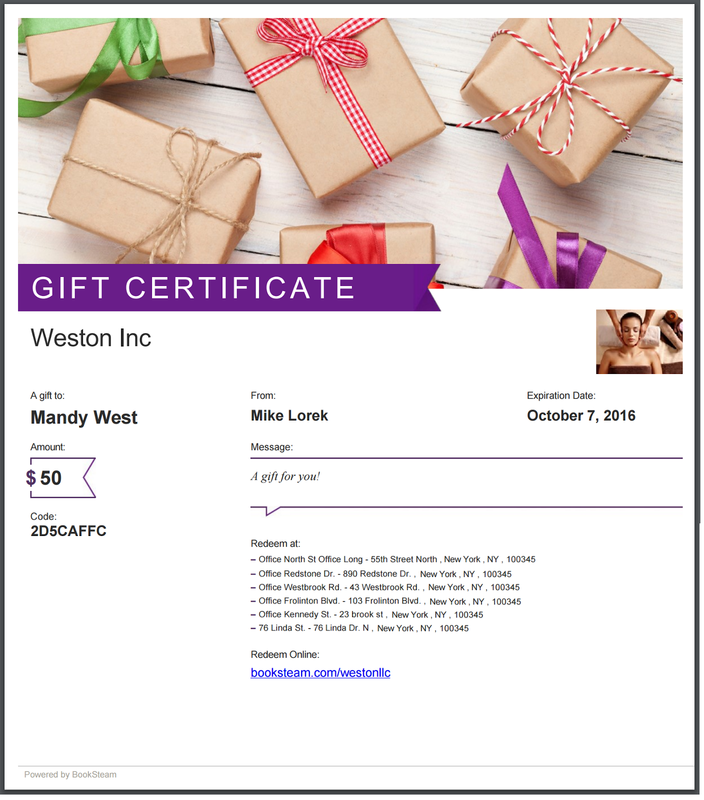 Gift Certificates can be easily customized with a personalized message, image selection, company logo, website redemption instructions, terms and conditions. Everything is mobile optimized, of course, so start selling gift certificates today! If you have any questions or feedback please contact us here.